Why would I need self storage in East Hazel Crest, IL? There are a variety of reasons why you might need self-storage in East Hazel Crest, IL. How much is a storage unit in East Hazel Crest, IL? The cheapest storage unit in East Hazel Crest, IL is $35.00 per month. What size storage units do you have available in East Hazel Crest, IL? In East Hazel Crest, IL we have sizes that range from 5'x5' to 10'x30' to suit your storage needs. How much is it for a 5'x5' storage unit in East Hazel Crest, IL? The cheapest 5'x5' storage unit in East Hazel Crest, IL is $35.00 per month. Known as the "Best Little Village in Illinois," East Hazel Crest is a very small community located about 20 miles south of Chicago. Though Cook County and the area surrounding the village have grown significantly over the past half-century, East Hazel Crest has remained small and intimate. The village still covers just 400 acres in the span of just a few square blocks. A portion of the village is zoned for commercial and industrial use, but the vast majority of the small village is zoned for residential enjoyment. 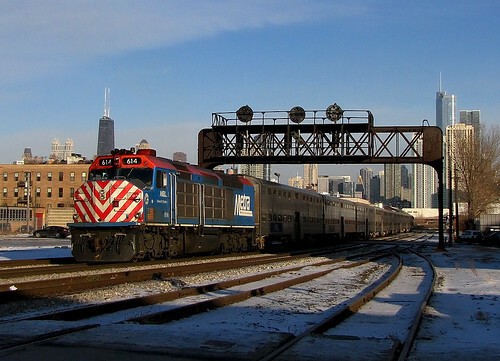 Most residents own or rent single-family homes within easy reach of the Metra commuter line. This tight-knit community is just a short drive or train ride to Chicago, and it also provides easy access to neighboring communities in Indiana and Michigan via the Tri-State Tollway. East Hazel Crest might be a small community, but it boasts several local employers in a number of fields. On the eastern side of the village, the Super 8 Motel employs hospitality professionals, and Public Storage employs storage and relocation experts. On the western side of the village, Grand Prairie Services provides a range of health care jobs, while Elsie's and Benos offer food service positions. The South Suburban Mayors and Managers Association and East Hazel Crest Village Administration both provide a number of government jobs in the small community. The East Hazel Crest area is home to several local industries. The largest in the area are trade and transportation, leisure and hospitality, professional and business services and government. Students who live in East Hazel Crest attend Hazel Crest School District 152 1/2. Students in the district attend the Barack Obama Learning Academy and the Jesse White Learning Academy. If you're looking for post-secondary education, you can choose from nearby Purdue University, St. Xavier University, or the dozens of colleges and universities in Chicago. Utilities: The village public works department manages water and sewer services. Commonwealth Electric is the community's energy provider. Garbage and Recycling: Homewood Disposal collects trash, recyclables and yard waste on a regular schedule. Yard waste is generally only collected during the spring, summer and early fall. Transportation: The most convenient form of public transportation in and through Hazel Crest is the Metra line. Because East Hazel Crest is an extremely small community, housing options are somewhat limited. However, the market does offer some choices for both renting and buying. Overall, housing is far less expensive in East Hazel Crest than many of its neighboring communities. Our lowest priced units in East Hazel Crest, IL average $35.00 per month. 117 people have reserved units in East Hazel Crest, IL in the past 30 days. There is 1 location within East Hazel Crest, IL's city limits.